Don’t worry! If you have one animal that needs essences, just put the drops in the water bowl. It’s okay if the other animals drink from the same water. A flower essence will never have a negative effect, it just won’t have any effect if the other animal does not need them. If another animal does resonate with one or more of the essences, that’s okay as well. They will get what they need. A fun thing to do is make two water bowls: one with the essences in it and one without the essences, so every animal has the choice to drink what feels best. The webinar on Flower Essences for animal was really fun ! We had a great audience that had interesting questions. If you would like to purchase the 2,5 hour recording, please contact me so we can make that work. We will do another follow-up webinar about animals, but we haven’t set a date yet. I’m excited to announce that Steve Johnson from Alaskan Essences and I will be teaching a webinar about the use of flower essences for animals! This webinar, the first in a series, is for anyone who would like to learn how to use the Alaskan Essences to help their animals live happier and more balanced lives. – a live Q&A session with both of us. You can ask questions via chat. Do you want to learn more about Reconnective Healing and the science and philosophy behind it? I will give a talk about Reconnective Healing at Meadowsweet Herbs on Wednesday March 30 from 6-7 pm. Many of you may know Cesar Millan, known as the Dog Whisperer. Cesar doesn’t talk about animal communication in the way that I do, but he does talk about ENERGY, and how our dogs (and of course all animals) sense and feel how we feel. We are only energy for them and the best pack leader is a calm, assertive and confident human being. The moment we doubt ourselves or are distracted, our dogs will let us know. I like how he teaches about that. In this interview, published in 2015, he points out where things can go wrong between dogs and humans, even without the humans being aware of it. I really liked the interview and that’s why I want to share it with you. It lasts 40 minutes and it is definitely worth watching! Click here to go to Youtube for the video. A Happy New Year to you and your furry friends! When I look back, I can say that 2015 was the most amazing year of my life. 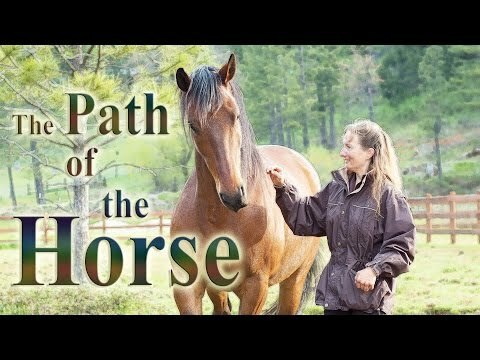 My horse Rixt and I moved from Holland to the Bitterroot Valley in Montana and started building a new life. I received a very warm welcome from the people here, they are really nice and friendly. It was very exciting to start my work here with the Animal Communication, Flower Essences and Reconnective Healing. I still do that with people and animals in Holland, but I was curious whether people here would be interested as well. And they are 🙂 I am happy that people come to me and that we get to do some amazing work together! I WISH YOU ALL A WONDERFUL CHRISTMAS. HAVE LOTS OF FUN WITH YOUR FAMILY AND (FURRY) FRIENDS ! On Thursday the 10th of December 2015 I was interviewed by Judy Wright, host of the blogtalkradio show on Animal Human Connection. It was a good interview and Judy had lots of nice questions. We talked about my journey from the scientific world to my work in the intuitive field, the healing power of animal communication and we talked a bit about the use of flower essenes for animals. Thirty minutes were passed before I knew it! You can listen to it here.